With CEREC® CAD/CAM ceramic milling technology, you can have dental crowns, porcelain veneers, and other restorations custom-designed and ready to be placed onto your teeth in a single office visit. This computerized milling system allows us to create precise, natural-looking restorations right here at our practice, without the need to rely on an outside lab and extensive waiting periods. CEREC® also utilizes extraordinarily durable bonding techniques to provide a secure seal to your tooth. This technology makes it possible to restore damaged teeth with well-fitting, quality restorations. An intraoral camera is an innovative tool designed to help you see close-up views of your teeth so that you can better understand your diagnosis. A member of our dental team will guide a very small camera inside your mouth and then relay images back to a computer screen. You and one of our dentists can then look at the images and talk about them together. The clear and defined views of your teeth and gums generated by an intraoral camera can help you gain a thorough understanding of what may be going on with your dental health, and allow for better communication between you and your dentist about treatment options that are right for your needs. Digital x-ray technology gives us the ability to provide you with safer diagnostic imaging procedures. Digital x-rays reduce patient exposure to radiation by up to 90% compared with traditional x-ray techniques. The image is printed instantaneously on a computer monitor, without the need to wait for film to develop. Digital x-rays are also more convenient: they can be sent to your insurance provider electronically, cutting down delays between diagnosis and treatment. We also have the ability to send copies to other dental specialist for review. With state-of-the-art Smile Vision, our dentists can create a digital model of your teeth that can be manipulated to show you the potential results of specific procedures. In other words, you can get an idea of how your smile will look before you even start treatment. Smile Vision can help you make an educated decision about your options, and view the possible outcomes of different procedures. While no technology can claim to predict the future with 100% accuracy, Smile Vision can provide you with a more thorough comprehension of what the results can look like after treatment. The Diode Laser is a non-invasive, virtually painless technique that can be used in cosmetic gum recontouring and other periodontal procedures. With powerful pulses of laser energy, the Diode Laser can reshape the gums to reduce the appearance of a “gummy smile.” This procedure can also treat early-stage gum disease and canker sores. Diode Laser techniques can limit the risk of infection during treatment, reduce bleeding and swelling, and result in a much faster healing time. 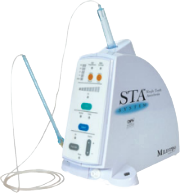 With the Single Tooth Anesthesia System®, or STA, we can take a lot of the pain out of injections. Needles and shots are typically the greatest fear patients have when visiting the dentist – in fact, many people avoid the dentist altogether because of this fear. But with STA, the shot is computer-controlled and guided by a member of our skilled dental team directly into the precise area of treatment. When used in certain dental procedures, the anesthetic should only affect the tooth being treated, reducing discomfort during the injection as well as minimizing areas of numbness after the procedure is complete. 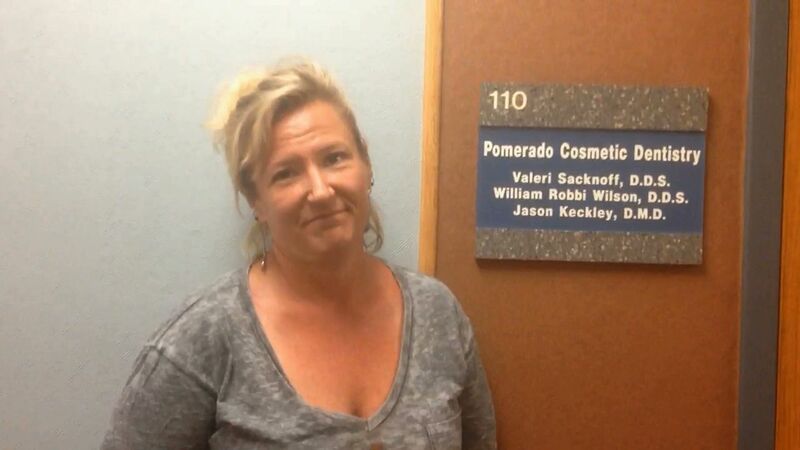 At Pomerado Cosmetic Dentistry, we believe in taking preventative measures for the good of your oral health. Oral cancer falls under this scope as it can be highly treatable when caught in its early stages. It can be very difficult to see signs of oral cancer with the naked eye, so we utilize the ViziLite® oral lesion screening system. This system uses light-based fluorescent technology to help make abnormal oral lesions more obvious. It is important to note that not all abnormal lesions are cancerous; therefore, our dentist can help determine the best course of action based on the results of your oral cancer screening. We recommend our patients have this screening at least once per year, and twice per year for patients who use tobacco products. Oral cancer screenings are virtually painless and take just minutes to complete. They can be a standard part of your routine dental check-up. If you would like more information on our dental technologies, or if you would like to schedule an appointment with one of our experienced dentists, please contact Pomerado Cosmetic Dentistry.